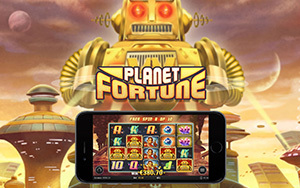 Tuesday 15th of January free spins on Planet Fortune. Play your free spins and try your luck. NOTE. The free spins are available from 12:00 AM to 23:00 PM To get the free spins your account must have had a deposit of € 20,- or more in the past or you can do it now.